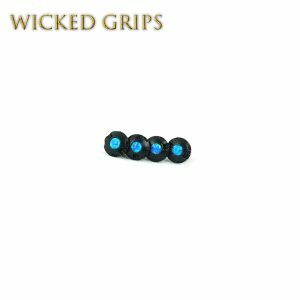 Our 1911 Custom Pistol Grip Screws come in various styles, with many gemstones to choose from. Please be sure to click on the drop down list for custom option. Gemstone 1911 screws fit the standard thickness grips on all 1911 models (including Coonan) that are true to the original spec. Not 1911 Double stack frames. 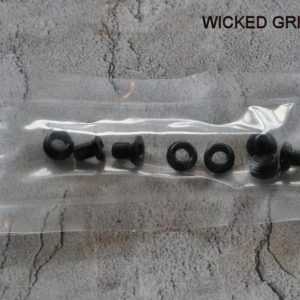 Screws labeled as Thin or Slim are for the THIN 1911 grips only. 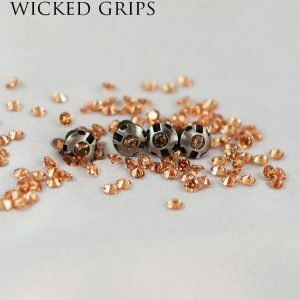 1911 Gemstone screws are hand finished, and come with the special tool bit needed for installation (please insert tool bit into a universal handle to properly tighten screws). All 1911 screws come in a set of four. Unique in the industry, durable enough for daily use, elegant enough for display!